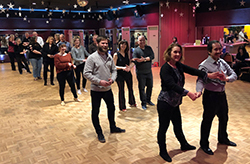 Metro Detroit Lessons & Dancing! Nearly Every Wednesday in 2019! April 13, 2019 • THE MINION PARTY! Fun Dance Lessons! Nice People! Singles, couples and dancers of all levels are welcome!